IMPORTANT: Included below is a list of answers to commonly asked questions. We strongly encourage all patients to read this in its entirety. For questions not answered below you may call or e-mail us at any time. All provided equipment is billed to your insurance company and is subject to all applicable deductible and co-insurances. Most disposable supplies may be replaced every 3 months. You may contact Quality DME, Inc to enroll in e-mail reminders which will remind you to order supplies every 3 months. Most masks have a 90-day manufacturer warranty for defects. Refer to your mask user manual/instructions for details on manufacturer warranty. Machines have a two-year warranty. Equipment malfunction after two-year warranty can be repaired by the manufacturer. Insurance companies will replace the machine after 3-5 years depending on your individual policy. For adjustments in levels of pressure we must receive an order from your physician. We cannot make pressure adjustments without a prescription. It takes most patients 3-4 weeks to adjust to therapy, so stay with it! Wash mask weekly with light soap and water. Disassemble your mask to clean and dry it thoroughly. Wipe down with a damp washcloth on a daily basis. Wash tubing weekly with light soap and water. Rinse tubing thoroughly and hang to dry. Wash humidifier chamber weekly with soap and water. Empty leftover water daily. Check your user manual to see if your chamber can be cleaned in the dishwasher. Rinse permanent filter weekly with water. Permanent filters are gray or black. Disposable filters, usually white, are replaced every 4-12 weeks. Refer to your user manual for details. TIP: For more effective cleaning, create a solution of 3 parts water to 1 part white vinegar. Let the mask, cushion, tubing, and chamber soak in the mixture for 30 minutes; rinse and dry well. For more effective cleaning, create a solution of three parts water to one part white vinegar. Let the mask, cushion, tubing, and chamber soak in the mixture for 30 minutes; rinse and dry well. It may take 2-3 weeks to adjust to therapy. Use the machine every night to increase effectiveness. 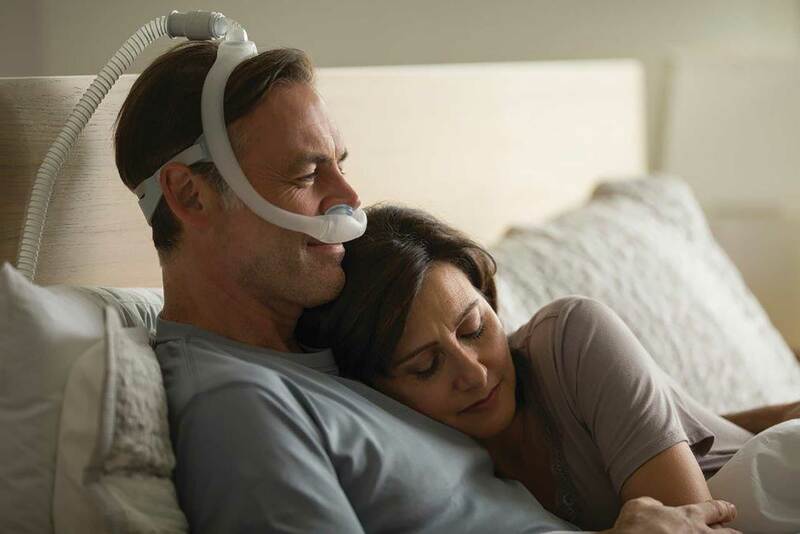 CPAP/BIPAP masks should be loose fitting and comfortable. Adjust the mask while in the sleeping position with pressure flowing to maximize fit and comfort. The pressure setting on your device is prescribed by your physician and can only be adjusted with a new order. Consult with him/her regarding problems with the pressure setting. If you are traveling, pack your machine and bring it with you. You may carry it on an airplane with you at no additional charge because it is a medical device. Make sure to empty the water chamber when you pack up the device. Machines work on 110v and 220v. If you travel overseas, you will only need a plug adapter. Tell us what you need. We will get back to you as soon as we can.